Even though I should not be buying anymore groceries I really don’t want to eat canned crushed tomatoes, Wheat Thins and green olives for dinner. A trip to Publix to get some ant and roach poison to put around the house for the summer also landed tonight’s dinner in the grocery cart. 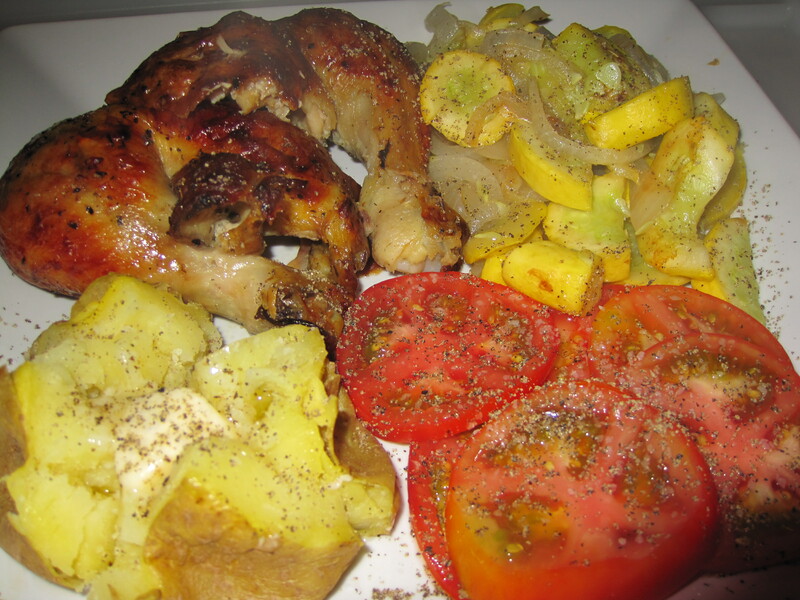 I got a deli lemon pepper roasted chicken and some summer squash. The chicken (already cooked) was an easy dish to serve…. sautéed the squash with sliced onions and microwaved a potato. Took all of 20 minutes from stove to plate.